We recently announced the five finalists for September and today we are excited to finally share our Amber Grant winner! 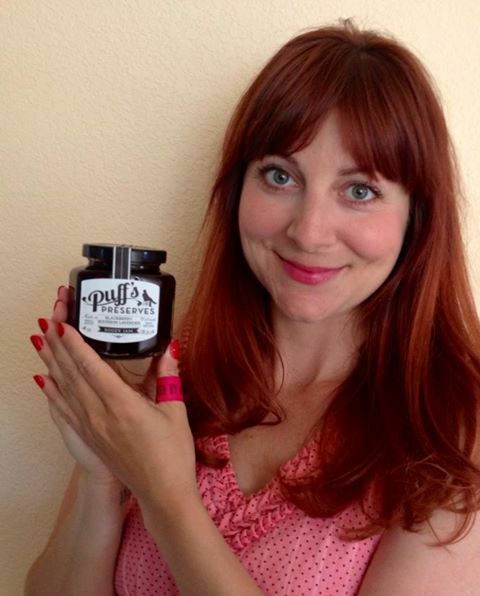 Congratulations Kirsten Farabi, owner of Puff’s Preserves! WN: For those who haven’t visited your website yet, tell us a little more about your creation and what sparked your idea. KF: I used to teach history! I have always been fascinated with past cultures, politically and socially. The Jazz Age, Prohibition Era always seemed like such an interesting time to me. This is when my family came to the United States in search of a new beginning as well. My grandfather started his own business, but of course, saw the opportunity to bootleg sugar and spirits (like most folks at that time). My grandmother taught me from a young age how to preserve our bounty on the farm; always creatively and full of spices, herbs, and unique flavors. Together, they were the inspiration for my boozy jams. My branding is inspired by this part of US history, and named after my grandfather Hugo “Puff” Farabi. I use Colorado spirits, and non GMO, fresh, organic ingredients. WN: Do you have a favorite Boozy Jam? KF: It’s hard to pick a favorite because all of the flavors are so different! I will say the most popular flavor overall is the Blackberry Bourbon Lavender. I make it with local honey instead of sugar, and the lavender adds a unique herbal note. WN: When will people be able to purchase your Jam online? KF: Customers will be able to order a mixed six-pack of jam online at the end of November. I am currently redoing my labels and jars. The new jars will make a great drinking glass when it is emptied! 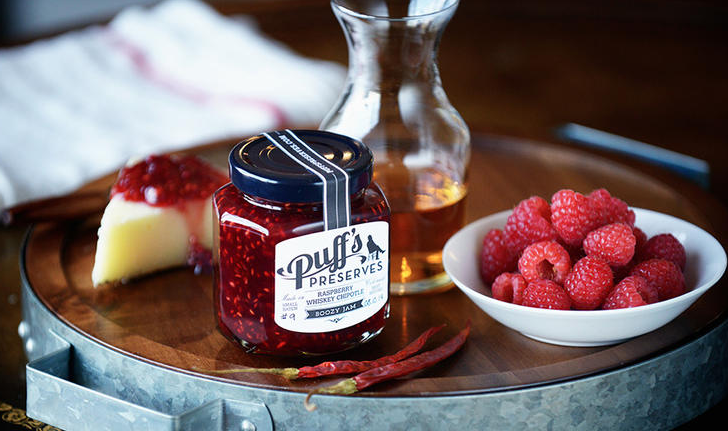 WN: What’s the next step for Puff’s Preserves? KF: As we speak, I am waiting for the landlord to arrive to show me an open space in Denver! The next steps for Puff’s are to find my own space to call home where I can cook my jams, sell local provisions, and run a speakeasy in the basement where I’ll serve cocktails made with my jams. Exciting times! WN: Do you have any advice for other women entrepreneurs? KF: It may sound cliché, but my advice to female entrepreneurs is to make sure you love what you do. There will be days you have to remind yourself why you started. Persevere, and push through the difficult times. There will be set backs, mundane tasks (accounting! ), critics (they laugh at you, then they copy you), and a learning curve. You only learn from making mistakes. All of this makes you a better businesswoman in the end. Be tough as nails, but wear fabulous and comfortable shoes. Thank you for reading! Remember we award an Amber Grant every month – if interested, here’s the link to apply! We hope you all have a great weekend!